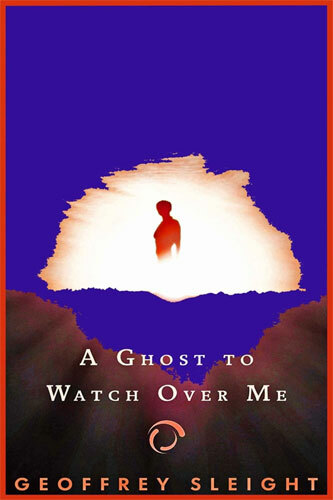 A Ghost To Watch Over Me is a supernatural mystery thriller by Geofrey Sleight that follows the adventures of Gary Belmont as the ghost of his deceased grandmother, Florence Morrison, appears to him and leads him on a dangerous quest to clear her name. His efforts to gather more information bring him into contact with a young woman, Laura. Together, they discover an old, underground military bunker. When the entrance collapses and both barely escape with their lives, competing members of the British intelligence service begin to hound both of them. The quest leads them to discover corruption that reaches to the highest levels of the British government. Furthermore, the methods employed by the British intelligence agents who try to do what is right repulse both Gary and Laura. As the mystery continues to unfold, the ghost of Gary's grandmother continues to appear, often saving them from disaster. Throughout their adventures, the couple faces the same threat from all parties involved: "If you ever breathe a word of what you know about this operation, you will be executed." Should they even bother with ethics anymore? The book is extremely well written, but the relationship between Gary and Laura needed to be developed further. It seemed rushed in the plot instead of being allowed to develop naturally. It does contain some graphic violence and is suited for adult readers only. In conclusion, A Ghost to Watch Over Me provides the reader with a complex, nail-biting mystery that will leave them on the edge of their seats. "If you ever breathe a word of what you know about this operation, you will be executed." Geoffrey was born in the east end of London just after the second world war. He remembers as a child so many streets all around laying in rubble as the result of wartime air bombing raids. From dreadful schools in earlier life, he moved on to better education and later found work as a reporter on local newspapers, gradually moving into writing and editing corporate newspapers and magazines, as well as working in public relations. 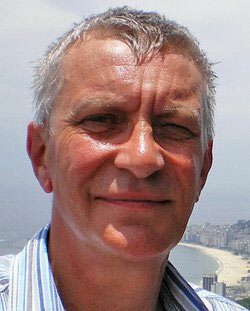 He lives in Buckinghamshire, UK with his wonderful wife Jenny. They have a son and daughter, and two amazing grandchildren. Geoffrey welcomes comments from his readers via email or on Twitter: @resteasily.